Blockade of the nootropic action of piracetam-like nootropics by adrenalectomy: an effect of dosage? Doses of 1, 10, 100, 1000 and 3000 mg/kg p.o. of piracetam, oxiracetam, aniracetam or pramiracetam are ineffective in adrenalectomized mice. Involvement of a steroidal component in the mechanism of action of piracetam-like nootropics. We show that inhibition of steroid biosynthesis by aminoglutethimide and blockade of the aldosterone receptors by epoxymexrenone completely suppress the memory-improving effects of the nootropics. Elevated corticosteroid levels block the memory-improving effects of nootropics and cholinomimetics. 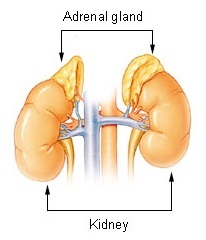 Aldosterone receptors are involved in the mediation of the memory-enhancing effects of piracetam. increased plasma levels of corticosterone were found 5 min after piracetam injection. In addition, intracerebral administration of antagonists for each receptor type (RU28318, for mineralocorticoid receptors, and RU38486 for glucocorticoid receptors; i.c.) given before the nootropic inhibited the facilitative effect of piracetam on memory consolidation. Piracetam facilitates long-term memory for a passive avoidance task in chicks through a mechanism that requires a brain corticosteroid action.